If you are a small start-up business, or a business that simply sends out low volumes of mail daily, the Neopost IS290i Mailmark franking machine is one potential option that you may have explored so far. Coming with the latest franking technologies as standard, this entry level franking machine will ensure that any small business can frank mail cleanly whilst also benefiting from the lowest franking rates available. The IS290i franking machine is a new entry level model released by Neopost. It adds to their current range of IS series of franking machines and comes with basic features and functionality. An integrated weighing scale will help ensure accurate payments always occur with the IS290i and the latest smart meter franking technology will help give you access to all VAT services. Not only this but the IS290i franking machine allows users to store as many as 10 advertising messages and/or logos onto the franking machine to help improve the professionalism of your mail items. As well as this, the Neopost IS290i Mailmark franking machine comes with a simple to use manual feeding system that is recommended to process up to 50 items of mail per day. A top speed of 20 letters per minute can be reached and mail will always be weighed accurately, eliminating franking errors. 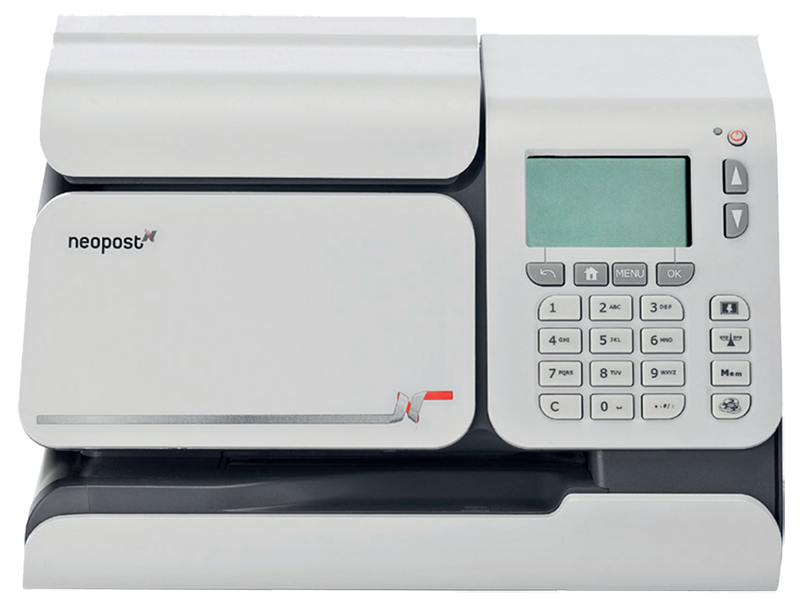 Click here to view a range of Neopost IS290i franking machine supplies. Mailmark technology is the latest piece of franking technology released by Royal Mail, replacing the current franking impression with a 2D barcode. This piece of technology comes as standard with the Neopost IS290i Mailmark franking machine, allowing businesses to benefit further from franking mail. Find out more about Mailmark technology here. View the latest details and up to date features that the Neopost IS290i Mailmark franking machine possesses below. View our range of franking machines here or call us today on 01543 572 776 to receive an instant franking machine quote for a similar machine to the Neopost IS290i. We are a Royal Mail Authorised Independent Inspector & Maintainer of Franking Machines with over 20,000 customers nationwide and we can supply you with our very own range of models.